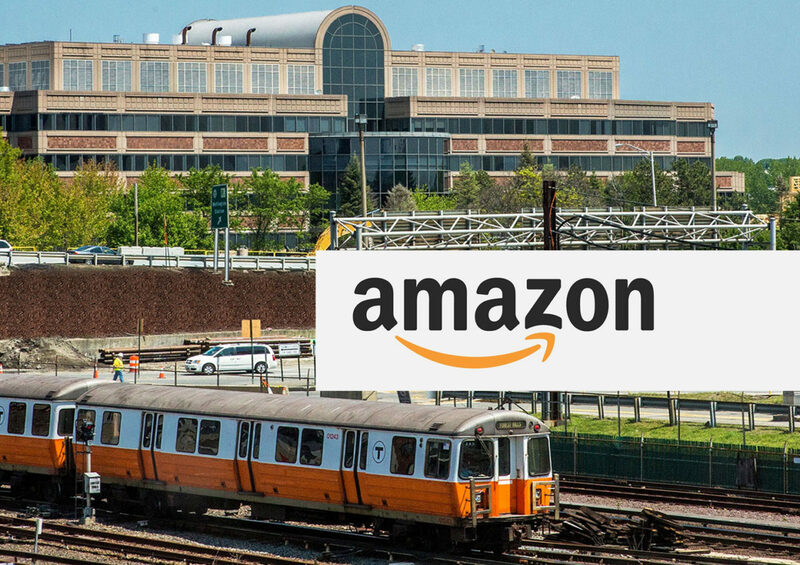 Amazon is joining the northern migration of office tenants along the MBTA Orange Line corridor with a lease of 50,000 square feet at The Davis Cos.’ One Cabot property at Medford’s Wellington Circle. The Boston Globe reports that the e-commerce giant will relocate employees from a WeWork coworking space in Back Bay to the 308,954-square-foot office complex, which The Davis Cos. acquired in 2015 for $53 million. The office will have 200 employees working on Alexa voice recognition systems, the Globe reported. The office space is the first local presence outside Boston and Cambridge for Amazon, which has leased 430,000 square feet from WS Development in the Seaport District for a planned office building and occupies approximately 150,000 square feet at 253 Summer St.
Amazon established its first local offices at 101 Main St. in Cambridge in 2012 and expanded into more than 170,000 square feet in the Kendall Square location. 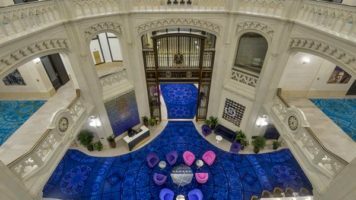 The Davis Cos. of Boston acquired the 308,954-square-foot One Cabot Road complex in 2015 for $53 million and updated the complex’s amenity package. Under the new ownership, One Cabot has attracted new tenants including iHeartMedia and Global Contact Services. Additional space became available in the building after vehicle telematics provider Agero agreed to relocate to a new 115,000-square-foot headquarters nearby at 200 River’s Edge Drive. The Orange Line north corridor has emerged as a new transit-oriented class A office market since Partners HealthCare’s opening of a new 825,000-square-foot headquarters at Somerville’s Assembly Row in 2016. Shoemaker PUMA broke ground in February on a new 150,000-square-foot headquarters at Assembly Row. Cresset Development and Novaya Real Estate Ventures are marketing 650,000 square feet of office and lab space at at Xmbly, a planned redevelopment of a 9-acre property on Middlesex Avenue. And in Malden Center, Boston-based Berkeley Investments is marketing 300,000 square feet of office and data center space at 200 Exchange St.